IFAIR is looking for a motivated student with a passion for EU/international relations to take on the role of project assistant for the 4th edition of the EU-ASEAN Perspectives Dialogue (EUAP). The EUAP project will be conducted for the second time in cooperation with the German Foreign Office. The position is a chance to gain substantial hands-on experience in planning and implementing an international project with major institutional and civil society partners in Europe and Southeast Asia. This is a home-based volunteer position which will last for the duration of the project (Aug 2018-Apr 2019). Candidates based in Berlin or London are particularly encouraged to apply. As a volunteer position, it is best suitable for students who aspire to gain professional experience in parallel of their studies. The Young Initiative on Foreign Affairs and International Relations (IFAIR) is a non-profit, non-partisan organisation dedicated to promoting greater involvement of young people in international affairs. Founded in 2010 in Germany, it has grown to become a global network of students and young professionals to make young voices heard in international relations through publications and transnational projects. 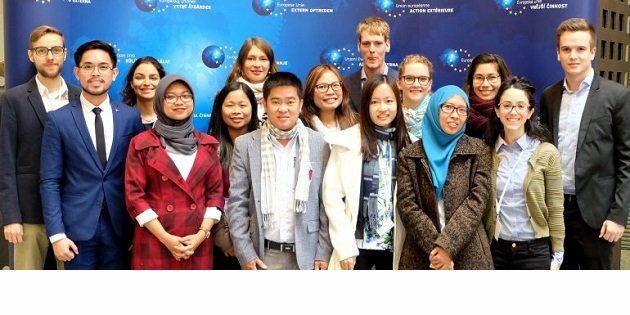 IFAIR’s Impact Group EU-ASEAN Perspectives brings together young experts from the EU and ASEAN to discuss current issues of EU-ASEAN relations. We offer a platform for young scholars and practitioners from both regions to engage in a constructive dialogue about mutual perspectives and develop proposals for the future of interregional cooperation. The EU-ASEAN Perspectives Dialogue (EUAP) is the flagship project of the Impact Group. It is organised biannually with the support of external partners and focuses on different hot topics of interest to both the EU and ASEAN. For the upcoming 4th edition of EUAP, IFAIR is partnering up again with the German Foreign Office. – Is interested in carrying out a variety of tasks related to the planning and implementation of the project, e.g. stakeholder communication, outreach, programme conceptualisation, event planning, logistics. Please send your application (complete with a brief CV and motivation letter) to Ms Olivia Geymond at olivia.geymond@ifair.eu. Applications will be received on a rolling basis until the position is filled. You can download the full job description here.